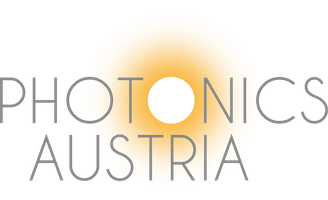 Aktuelle Projekte - photonics-austrias Webseite! From Helsinki to Barcelona start-ups have stimulated the European economy with fresh and brilliant ideas in the past years. However, entering the market and growing business in Europe still remains challenging for start-ups. The European project Scale-EUp2 responds to this challenge with the launch of a business accelerator programme, tailored specifically to start-ups seeking to gain greater visibility and expand their business in the field of Internet of Things (IoT). Scale-EUp2’svision is to promote “deeptech for good” by helping start-ups to capture the market in the sectors “Smart Cities”, “Smart Mobility”, “Industry 4.0” and “Smart Health”. To this end, Scale-EUp2 will establish 4 inter-connected European accelerator hubs in the regions of the Scale-EUp2 partners. The aim is to identify a minimum of 200 high-potential start-ups active in different IoT sectors, connect them to relevant European stakeholders and help them to join innovation projects. The hubs will also deliver hands-on advice on financing and funding opportunities and recruiting. An overarching goal being the connection of the European start-up community, Scale-Eup2 moreover will carry out entrepreneurship contests during six selected start-up-events. Eight partners from four European countries participate in Scale-Eup2. Als Nachfolgeprojekt von EuroPho21 hat NextPho21 das Ziel, Produktion, Schaffung von Arbeitsplätzen und Wertschöpfung im Bereich Photonik in Europa durch unterschiedlichste Aktivitäten zu unterstützen. Im EU-Projekt Photonics4All haben sich 10 Partner aus 9 europäischen Ländern zusammengeschlossen, um die Photonik – also die technische Anwendung des Lichts – Kindern, Jugendlichen, Start-ups, KMUs, der Industrie und einer breiten Öffentlichkeit näherzubringen. 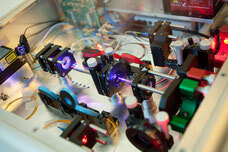 Im Fokus des Projekts RESPICE SME stehen kleine und mittlere photonischen high-tech Unternehmen. Diese sollen im Rahmen des Projekts unterstützt werden, ihr Innovationspotential und die Innovationskapazität zu verbessern um gemeinsam mit unterschiedlichen Partnern neue Märkte erschließen zu können. Ziel des EU-Projekts EuroPho21 ist es, Produktion, Schaffung von Arbeitsplätzen und Wertschöpfung im Bereich Photonik in Europa durch unterschiedlichste Aktivitäten zu unterstützen.